This past month flew by, and besides what I got in my Birchbox and Ipsy deliveries, I didn't pick up too many new products. The bright side is that out of the few new products I tried, none of them were flops like last month! Real Techniques Core Collection, $17.99- I was searching for some new makeup brushes and luckily found this set at my local T.J. Maxx for only $8. 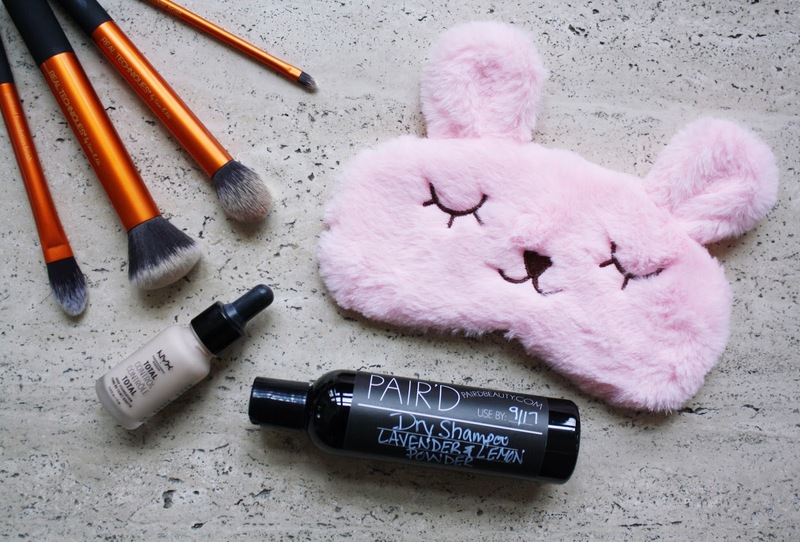 Who doesn't love inexpensive, soft, fluffy, cruelty-free brushes? NYX Cosmetics Total Control Drop Foundation in Porcelain, $13.99- I was initially very displeased with this foundation. I didn't read the description very closely when I ordered it online, so when this teeny tiny bottle showed up at my house I felt ripped off. I was expecting it to be twice the size. Anyway, it is a very liquidy foundation and I found it difficult to work with at first-- I would apply it to my face, reach for my brush, and meanwhile it would run down my face. Once I figured out how to work with it, I really started to love it. People say it's buildable but I don't really agree with that, but it is very light, doesn't leave my face feeling goopy and has a nice finish. 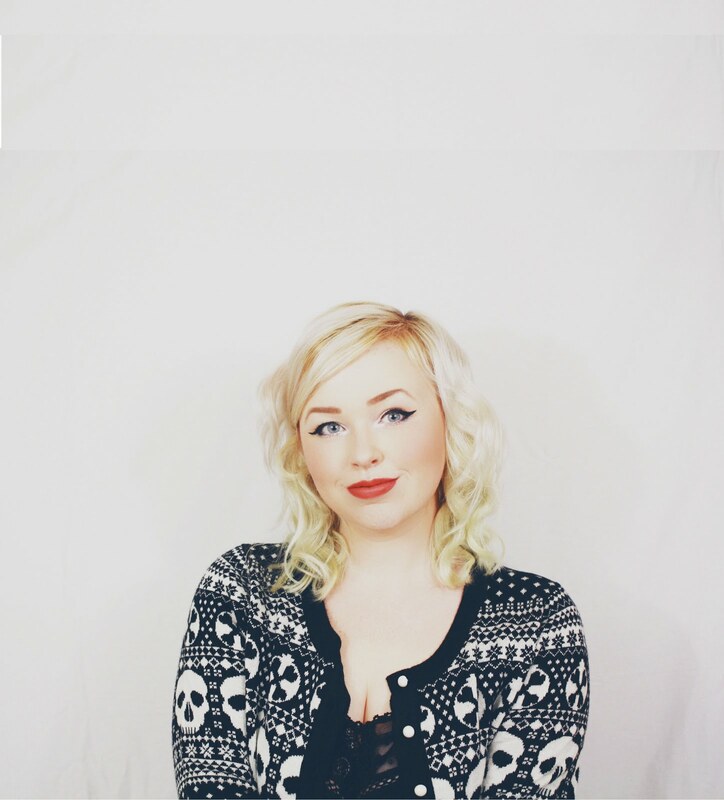 I have been having the most difficult time finding a foundation that works for me, but I think this one is it. PAIR'D Beauty Lavender and Lemon Dry Shampoo Powder, $6-$14- To preserve my color I use dry shampoo very often. When I came across PAIR'D Beauty's dry shampoo and saw that they sell it in my favorite scent combination, lavender and lemon, I ran to find my wallet. More things in this world need to be lavender and lemon scented. Anyway, I love this product. Besides the amazing smell, it's cruelty-free, and has a short list of ingredients and I know what they all are. 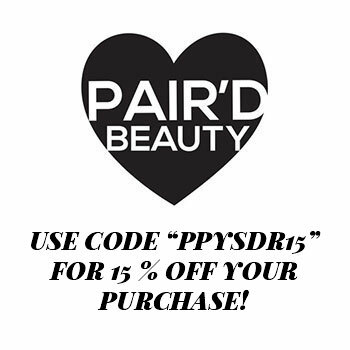 In case you missed the image on my sidebar, you can get 10% off your PAIR'D Beauty purchase with the code "PPPY10"! Conair Flexible Rollers, $14.99- Yeah, I know these aren't a new discovery by any means, but I just recently gave them a chance. I have been heat styling my hair like crazy for the past decade and it's very frustrating to get a trim and then split ends show up 5 minutes later. I love having my hair curly so I finally gave these foam rollers a try. I'm used to using hot rollers that come with clips to keep the rollers in, but these don't. My hair is very fine and I found it very difficult in the beginning to get these to stay in my hair. I still do sometimes so if I'm having trouble with that, I secure the end of the strand onto the roller with a small elastic. I put these in when my hair is wet and leave them for a few hours, then I get super tight ringlet curls. I then sleep on the curls and in the morning I have kinda curly-wavy hair that stays in for a long time. I'm still trying to figure out the right technique for me, but using these rather than heat styling has really been helping my hair. ZHICHEN Eye Mask, $8.88- Okay, this isn't a beauty product but I wanted to include it. I've been using an eye mask to help me sleep since I was a kid so having a good one is important to me. Sure, it's a little ridiculous, but it's also adorable. Besides how cute it is, my favorite things about it are the adjustable strap-- so it can actually fit your head well-- and the removable cool gel pack. 2 comments on "Current Favorites #2"
I love the Real Techniques core collection - I use the buffing brush every day. Have you tried their eye brushes? I really recommend them. Not yet! I had them in my cart but changed my mind and put them back. I regretted it as soon as I left, so I think I'm going to get them next time.